February is filled with so much celebration! 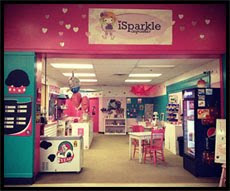 My birthday, the anniversary of iSparkle Cupcakes, and Valentine's day! I thought to celebrate I would share a little how-to for you to make for your Valentine! They are so fun, and easy! 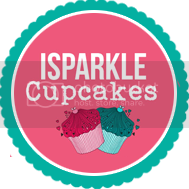 The first thing you need to do is make up your favorite Red Velvet cupcakes! May it be that secret recipe from your grandma, or a quick box mix! Or you can make it fun, and use this doctored up box mix! Don't worry it's still easy!! You add more Red Coloring too if you want it to be super red velvet! Throw everything in a bowl, and mix it all up! Step 2: Brake off some of your Red Velvet cupcake. Step 3: Stuff as much Red Velvet cupcake into that strawberry as you'd like!! A little or a lot! I say the more the merrier! Step 4: Melt your chocolate, now you can use any kind of melting chocolate you want. I used white Chocolate because I think it pairs nicely with Red Velvet cake! But dark Chocolate would be just as yummy! Make sure you melt it 30sec at a time stirring in between so your chocolate doesn't burn. After you melt it you're ready to dip your strawberries!!! Make sure you sprinkle them up before that chocolate dries! And throw a little over your shoulder for good luck! Hannah Anderson, on Sunrise Seven at 7am!!! Tune in on Feb 9th to watch!! !